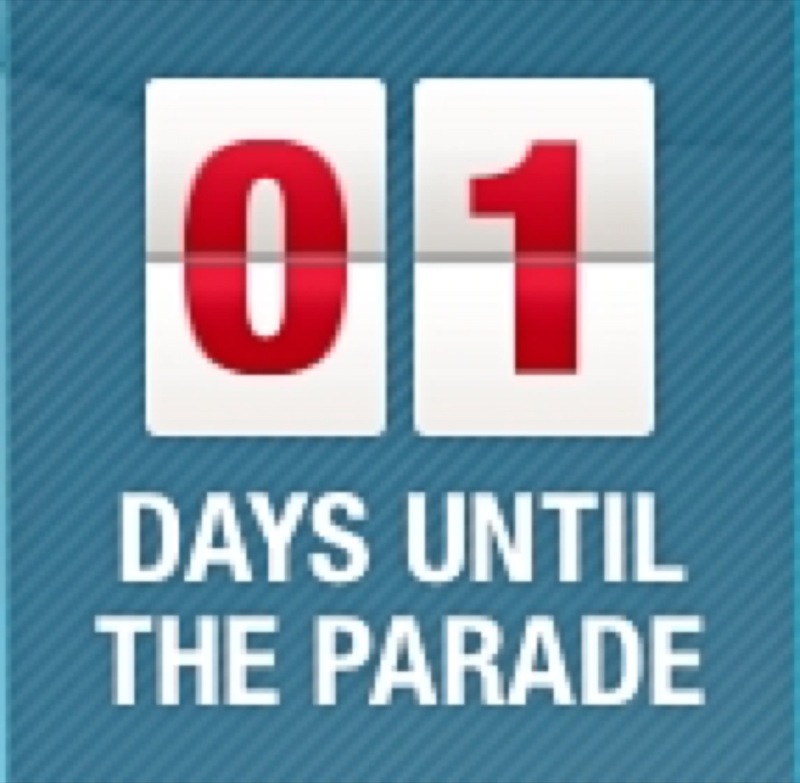 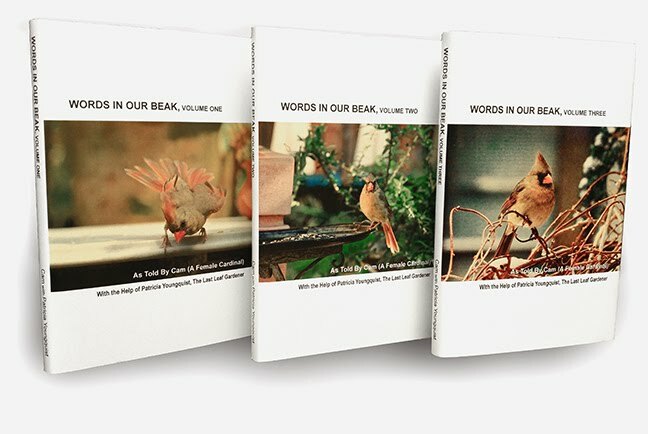 The Last Leaf Gardener: Tomorrow's The Parade! 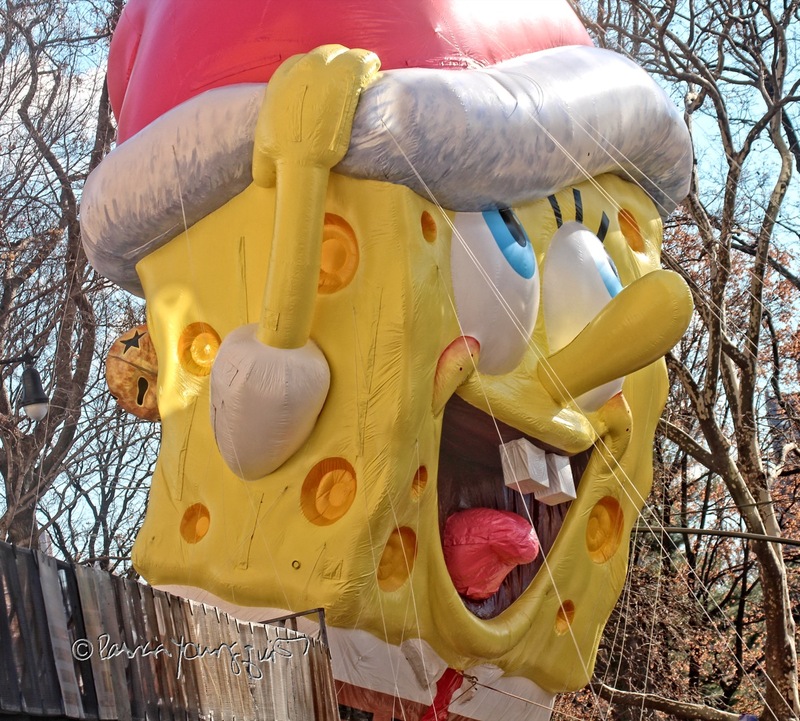 Sponge Bob, the popular Macy's ballon pictured above, is here with me to announce that the 90th Macy's Thanksgiving Parade will take place in NYC tomorrow! 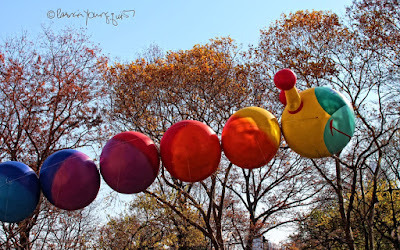 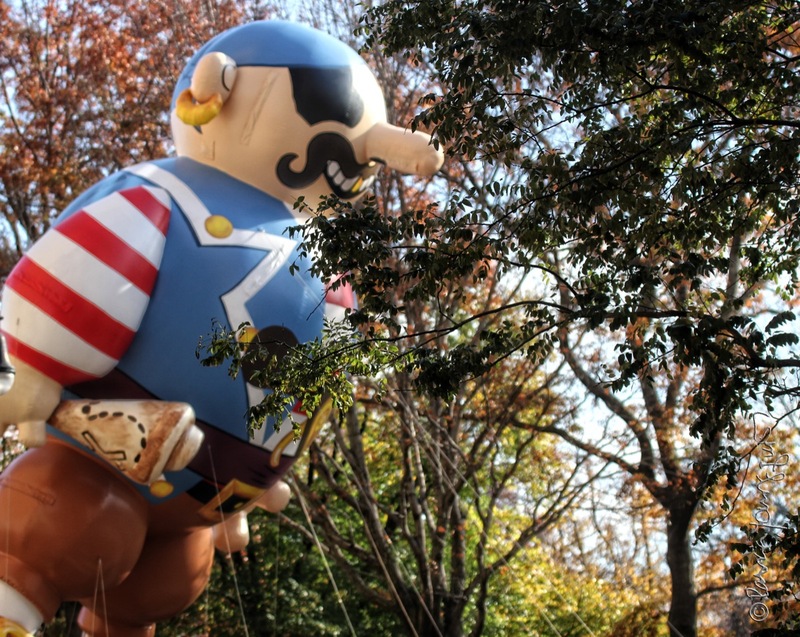 I began blogging about this event on November 15th 2016, with an entry where I included photos of various Macy's balloons including one with Woodstock riding on Snoopy; and ones rendered in the likeness of Thomas The Tank, as well as Spider Man. From what Sponge Bob tells me, Spider Man will not participate this year. This information is according to Bob's sources who gave him a list which I've posted below. 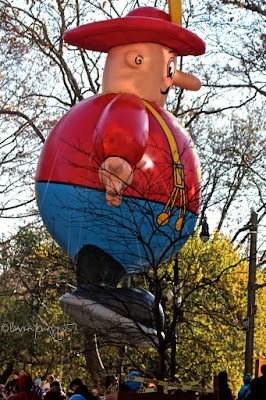 Ever since November 15th 2016, when I began my 2016 Macy Parade posts, I have featured all of the characters on the list, with the exception of the second version of Sinclair Oil Dinosaur. 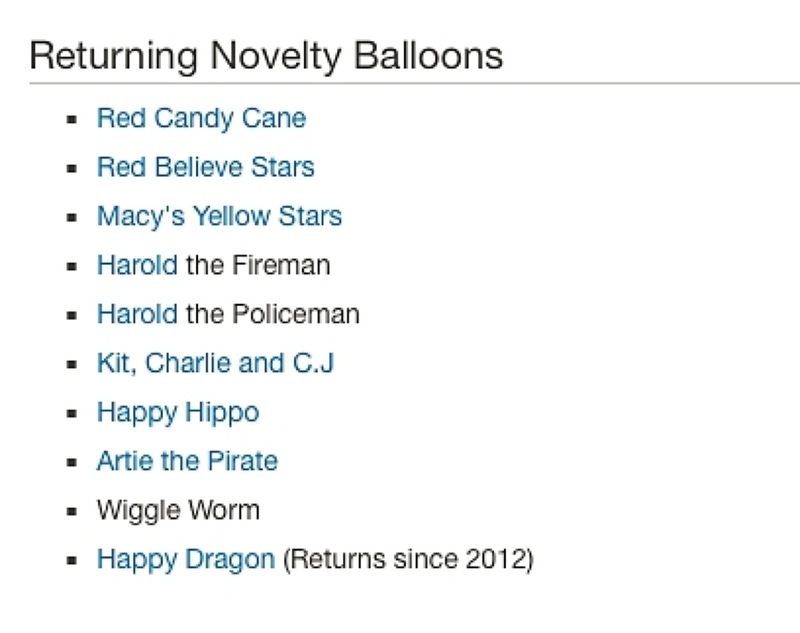 My postings regarding the returning characters, Hello Kitty, The Elf on the Shelf, Sponge Bob, Thomas the Tank Engine, Paddington Bear, Red Mighty Morphin Power Ranger, Eruptor (Skylanders), Pikachu, The Pillsbury Doughboy, Scrat with his Acorn, Ronald McDonald, and Angry Bird Red, can be found by clicking on their names. Sponge Bob also gave me a copy of the list delineating the novelty balloons that will participate this year. 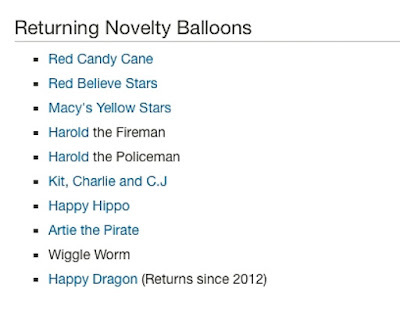 The novelty balloons known as Harold the Policeman, as well as the elves (Kit, Charlie and CJ) and Happy Hippo have all been featured in my 2016 entries re the parade as well as in bygone years. 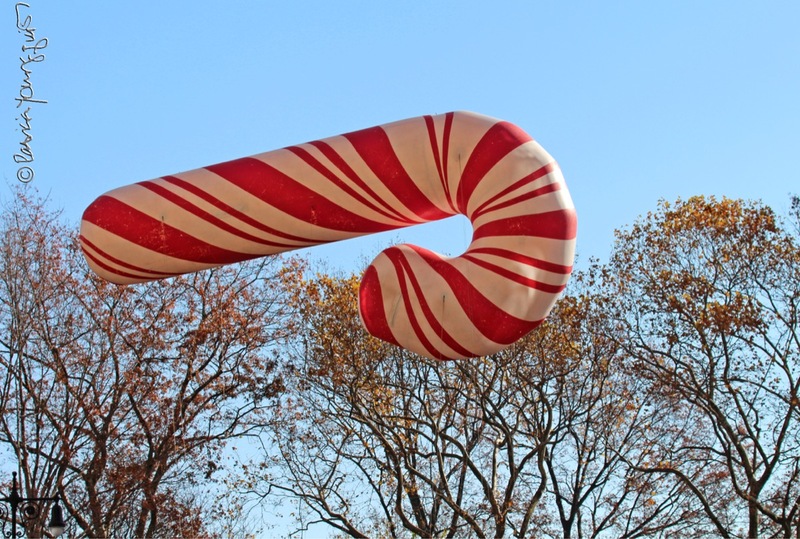 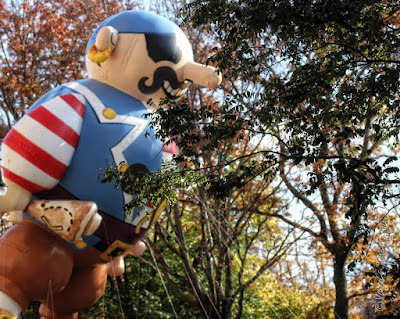 However, the novelty balloons known as Red Candy Cane, Harold the Fireman, Artie the Pirate, and Wiggle Worm, have not had their photo-ops included in my 2016 Parade entries and photos of them can be seen (respectively) below.